Are You Ready To Overclock ? 4 x 4.4GHz out of the box with Air Cooling! A high quality woven E-glass coated with epoxy resin PCB material delivers superior signal integrity and results in exceptional stability, especially under overclocking conditions. Top grade X5R or X7R class ceramic chip capacitors are used exclusively throughout, up to several hundred per motherboard. The result is enhanced overall signal stability even under challenging thermal conditions. Integrating only the best Japanese NPCAP solid state capacitors that feature super low ESR, longer lifecycle, and outstanding ripple rejection; motherboard stability even under extreme temperatures is dramatically increased. Features 15µ gold plating that is 7.5X thicker than the standard design of 2µ on PCI-E sockets, connectors, and CPU sockets which delivers the absolute best connection integrity between devices. 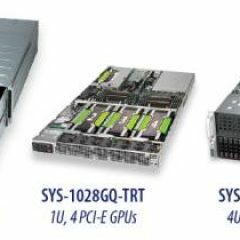 Supermicro exposes all hardware to an intensive suite of stress tests, including extreme workload, type of task, memory use, thermal load, clock speed, and voltages. Supermicro engineered the Core Gaming Z170 series to deliver a high performance motherboard for the most discerning gamers with features even professionals will appreciate. Architected for reliability and performance, the Core Gaming Z170 perfectly blends enthusiast-grade overclocking with components and designs which have traditionally been found only in server-class products. Integrating a discrete Base Clock (BCLK) generator allows a full range of frequency adjustments from 100 MHz to 200+ MHz in 1 MHz increments, overclocking is no longer limited by BCLK Straps. 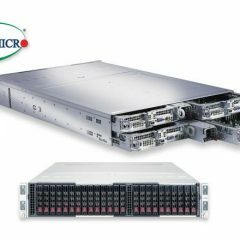 The combination of Digital PWM's, DrMOS, and Ferrite Chokes provides Supermicro motherboards with highest power efficiency, which results in cooler motherboard operation and significantly better power stability for overclocking. Equipping the essential tools -- Debug LED, Power, Clear CMOS, and BIOS restore buttons on the motherboard can significantly simplify and expedite the process of maximizing performance. Featuring the latest USB technology, the USB 3.1 type C is a reversible-plug connector that can support up to 10Gb/s transfer rates (2X faster than USB 3.0). Supporting the latest M.2 that utilizes PCI-E 3.0 x 4 interfaces to deliver the maximum throughput up to 4000MB/s, up to 6.67X faster than SATA 3 interfaces. The new and improved Supermicro UEFI BIOS offers an intuitive, easy-to-navigate, and responsive interface with all the key settings needed to unleash your PC's best performance. The Pro Gaming X99 motherboards from Supermicro are designed for extreme gamers who crave the highest performance from their gaming rigs. With Supermicro's server quality, these motherboards are optimized to provide the highest magnitudes of overclocking performance that is perfectly balanced with greatest level of stability, ideal for the Pro Gamer. Our highest-performance ATX motherboard offers cross-platform support with Intel® 4th generation Core i7 Extreme Processor and Xeon® E5-2600 v3, E5-1600 v3 (LGA 2011) processors. 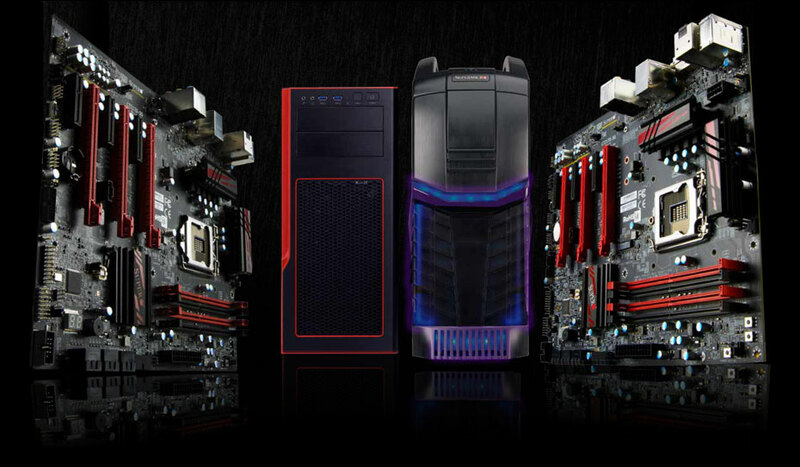 The Pro Gaming X99 motherboards are SLI ready and can support up to three double-width GPUs at x16/16/8 bandwidth. Equipped with the essential tools -- Debug LED, Power, Clear CMOS, and BIOS restore buttons conveniently located right on the motherboard - you can significantly speed up the tuning process for the very highest performance. The Memory overclocking button allows you to increase memory performance with one touch. For expert users, full feature BIOS options are available for manual tweaking for overclocking up to 3300MHz. The Intelligent Platform Management Interface allows the user to monitor and manage their gaming system if powered off or unresponsive, by using a dedicated network connection to the hardware. 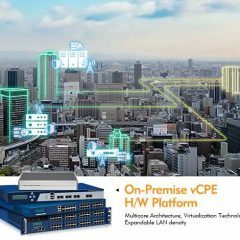 Available on C7X99-OCE-F, IPMI is a valuable resource to optimize performance and minimize downtime. The S5 is a precisely crafted chassis marrying classic simplicity and modern functionality, ideal for high performance gaming systems and workstations. The 732G mid-tower gaming chassis extends Supermicro's strong server foundation into the gaming market space. The 732G high-quality 0.8mm SGCC steel construction case has a metal mesh side panel window, and with optional blue/orange/purple LED light strip on the side, makes it a hit at any LAN party. 2 large and heavy-duty handles on the top of the chassis for ease of transportation. Optional Blue, Orange and Purple LED that can shine through the front bezel for you to personalize the chassis. Even though 732G is only a mid-tower, it has enough to support even E-ATX form factor, single processor or dual processors, motherboards. "If you are looking for a motherboard with features and design practices used in high quality server boards with outstanding performance and the ability to overclock, then the C7X99-OCE is the right board for you. "Whether you need a reliable and versatile case for at home, or in the office, the S5 has got you covered. 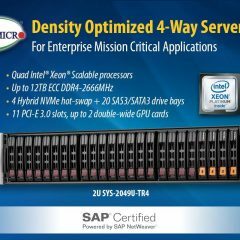 This is a good all-round product that would make a solid gaming system or even a workstation that required a lot of drive bays. 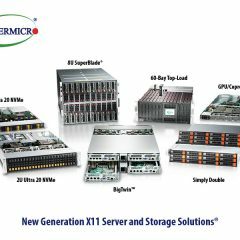 Let's hope Supermicro continue to develop their new range, as they're already off to a great start."